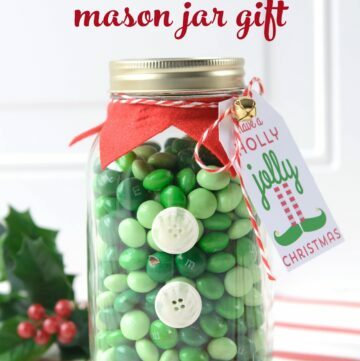 If you like these St. Patrick’s Day Mason Jar Gifts then you may also like these Christmas Mason Jar Gift Ideas. We like to say in our house that we are a “Wee bit Irish”. We have Irish ancestry on both mine and my husbands side of the family. My girls also spent years perfecting their jigs and reels in Irish Dance Class. Although gone are the days of dancing our way through the St. Patricks Day Parade, we still love to celebrate St. Patrick’s Day in our house. 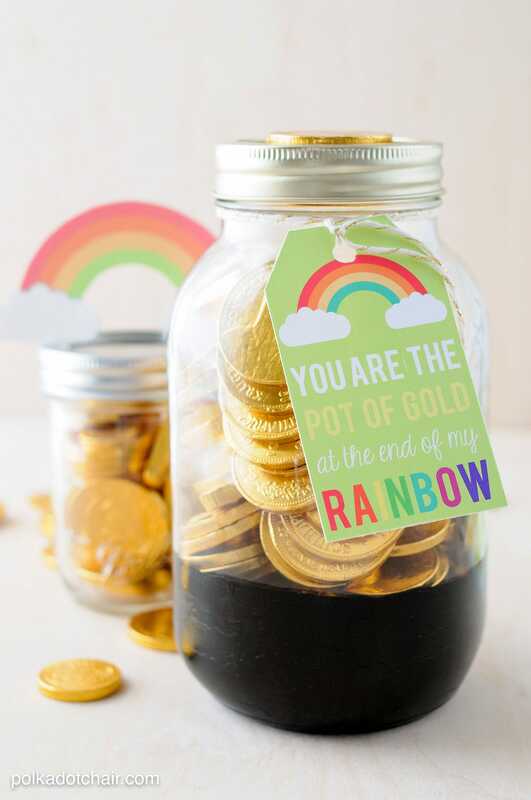 Going with my “use all of my mason jars” idea from earlier last year, I decided to make some cute “Pot of Gold” Mason jar gifts. These would be fun to give away to friends and family that are also “a wee bit Irish”! 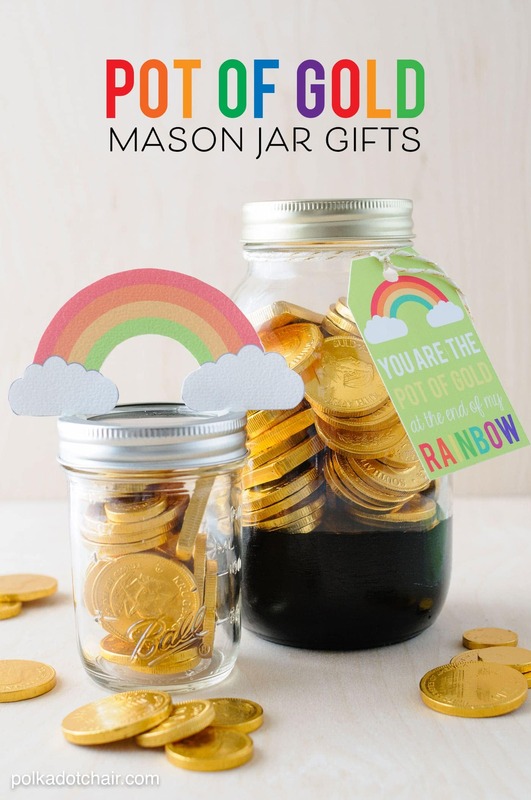 For the large jar you’ll need 3 bags of gold candy, a mason jar, some black paint, gold twine and a tag, that you can download here. Tape off the bottom of the jar to make your “Pot” then paint it black with acrylic paint. Remember if you want to set your acrylic paint permanently, bake the mason jar at 350 for about 15 minutes. Otherwise the paint will just peel off. 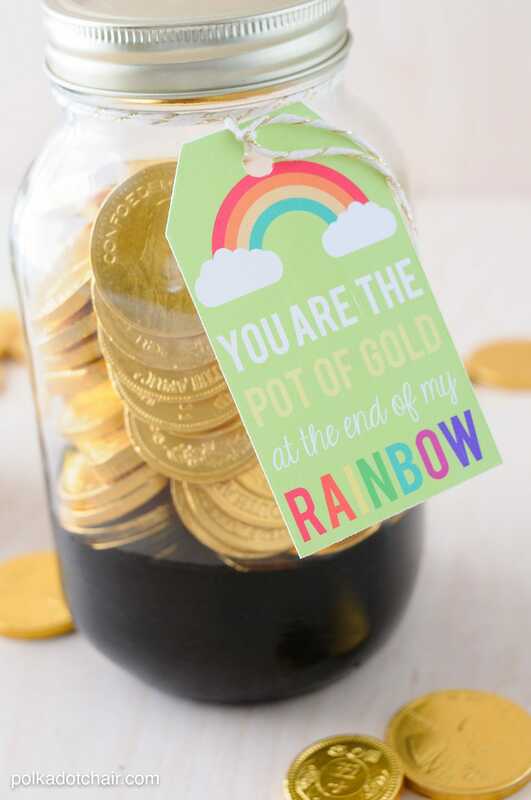 Fill it with gold coins, and tie the tag on with a bit o’ twine. 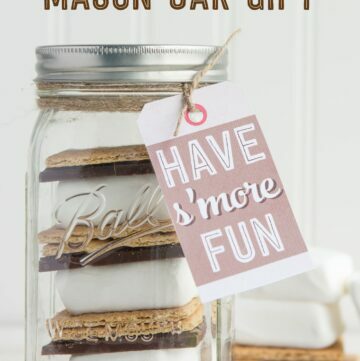 To make the smaller mason jar, print off the rainbow printable found here. 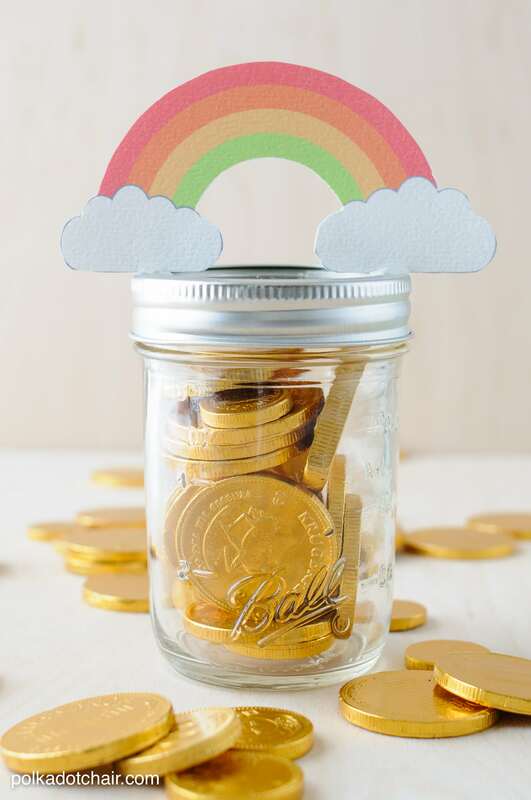 I’ve included 2 sizes of rainbows depending on your project. On the printable you’ll find a front and a back. 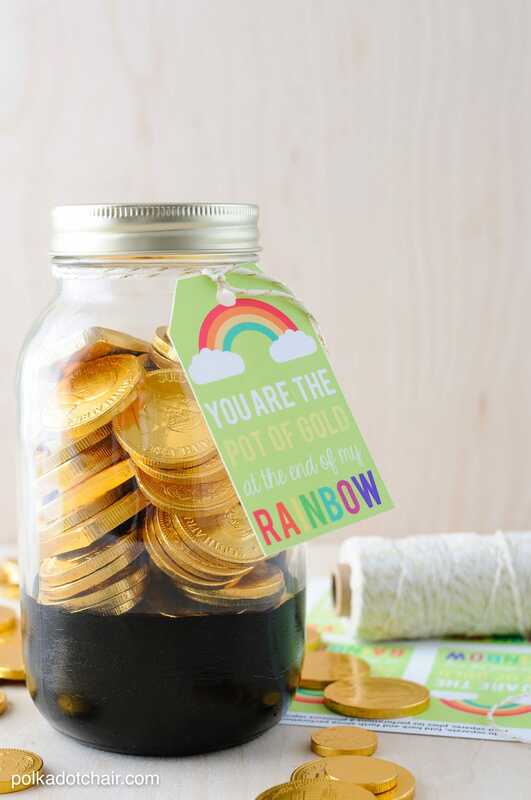 Cut each one out and glue them together, so that your rainbow is double sided. Then simply put a bit of hot glue on the rim of the mason jar lid and glue the rainbow down so it’s standing up. Voila! 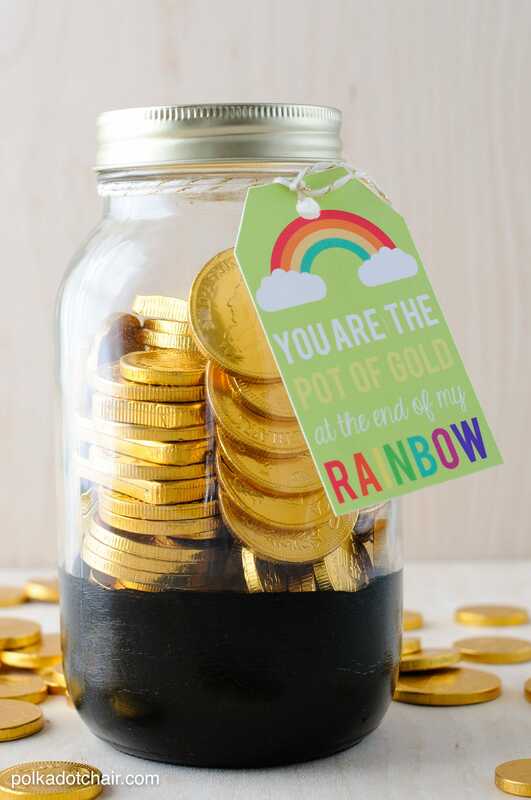 A Pot of Gold at the end of a Rainbow! You can visit my templates page to download these and MANY more free printables! You’ll find two options, one for printing the tags on Avery Labels (my favorite) and one for printing the labels on plain cardstock. You can also find the link to download the rainbows on the template page. Now, go forth and craft!! And may the Luck of the Irish be with you! 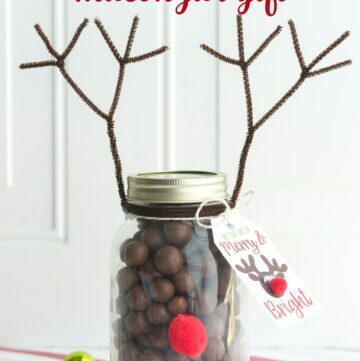 Such a super cute idea! I love the printable! Looove it! This is adorable! I’m pinning this idea for something I might do for when our band goes to NYC to march in their St. Patrick’s Day parade next year. 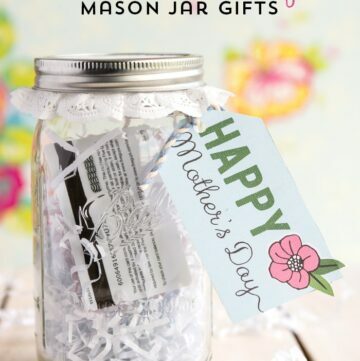 I might not be able to do mason jars for everyone, but I definitely can use the printable and use clear cellophane bags. Thanks for sharing! I’m trying to download the tags, but I’m getting a message that it’s expired ): Any chance it’s active and I’m just flubbing something up? Nope it’s still there, just read all the directions at the top of the page, it addresses that error.